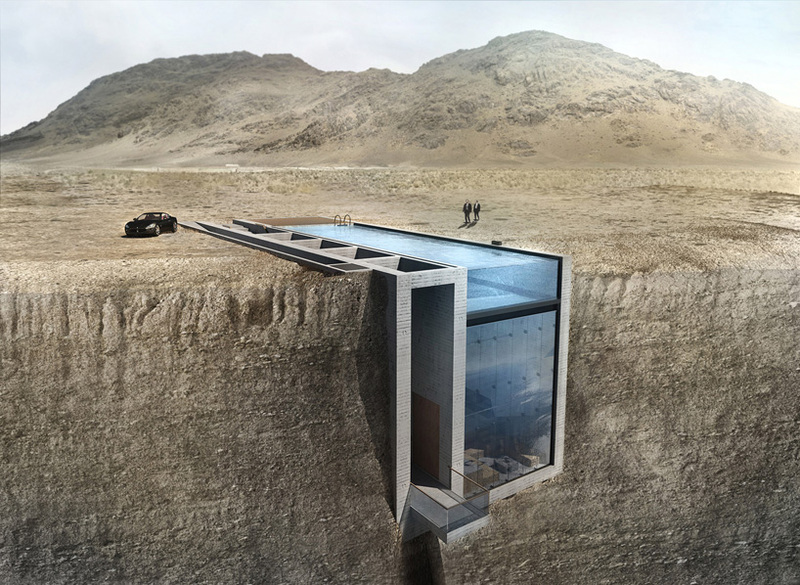 Seemingly the kind of fantasy project that looks beautiful in renderings but is destined to remain unbuilt forever, the dramatic ultramodern cliffside residence ‘Casa Brutale’ by OPA is actually set to be constructed in Lebanon. The Netherlands- and Greece-based architecture firm announced that they have chosen a building site for their cutting-edge project on Faqra Mountain outside Beirut, at an altitude of 5,250 feet. 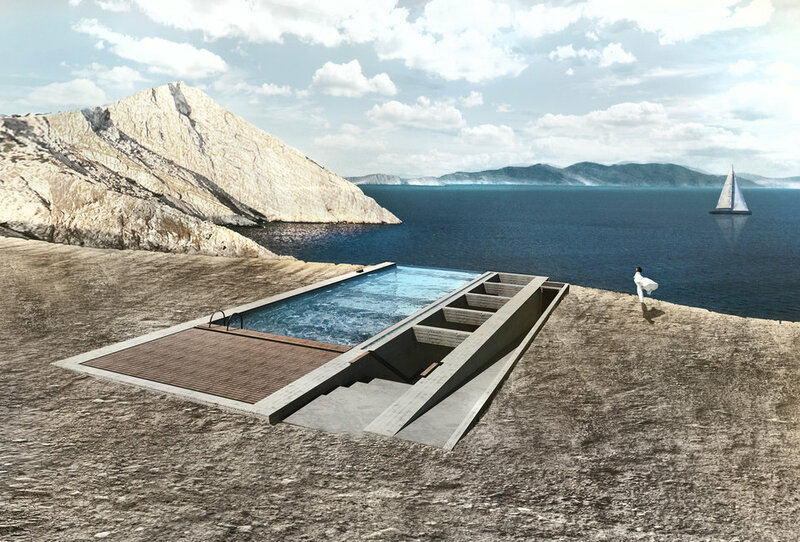 Originally envisioned as looking out onto the Aegean Sea, it will now take in views of the mountainous countryside. 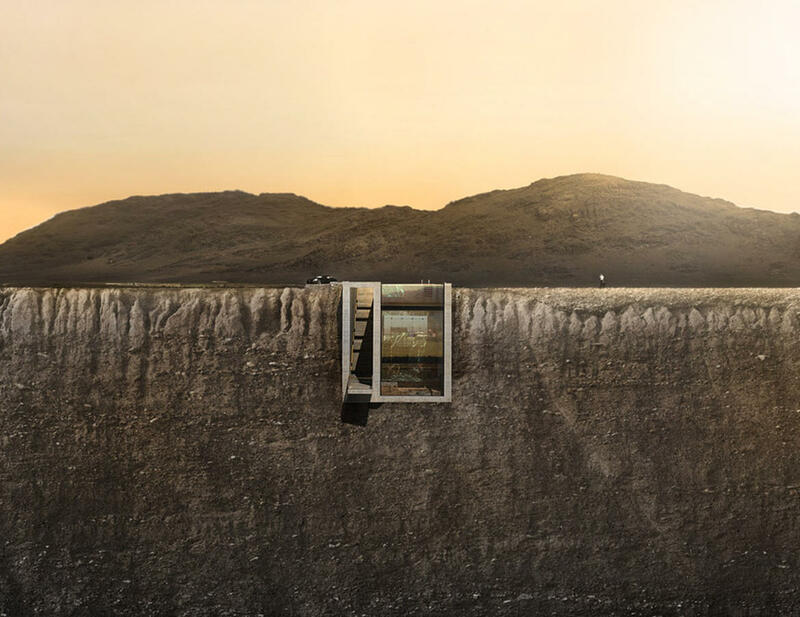 When the concept images of the luxury cliffside home were first released, critics questioned whether it was even feasible to build such a structure, which requires excavation into the mountain to make the roof of the home level with the road that leads up to it. 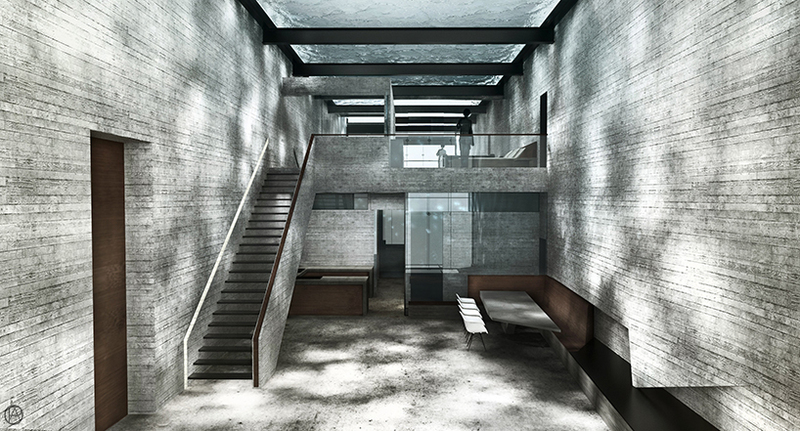 Essentially subterranean yet also looking down from an elevated perch, the home is a contradiction requiring quite a feat of engineering, encased within the rocky earth with its all-glass face looking out. 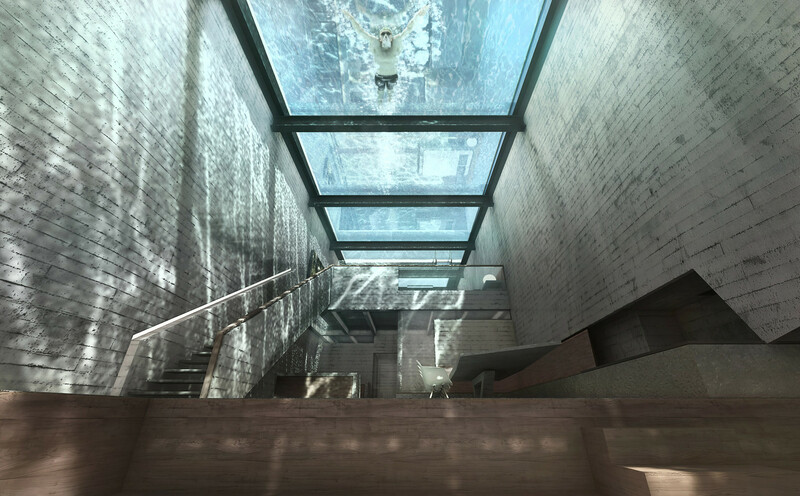 The literal crowning jewel of the structure is a rooftop swimming pool with a glass bottom, acting as a giant skylight for the entire home and casting watery reflections all over the interior spaces. The floor-to-ceiling glass covering the entire cliff-facing facade brings in additional sunlight, not to mention those incredible views. The architects also expanded the size so the home can accommodate up to six residents, and added an underground garage for up to three vehicles. 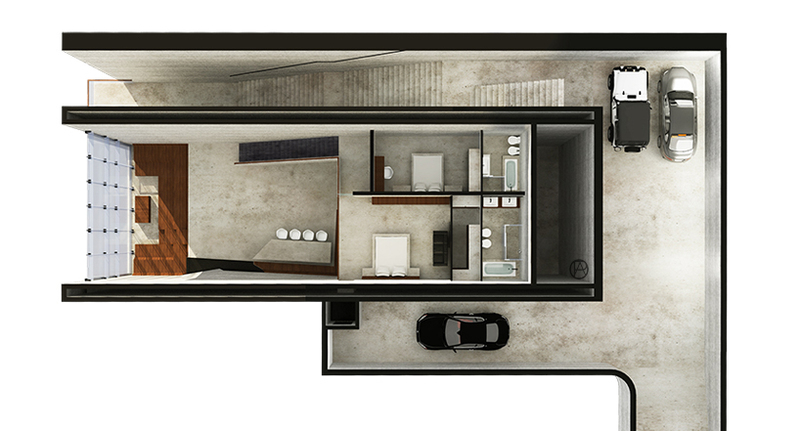 Two bedrooms and two bathrooms are tucked into the mezzanine level, with a third bedroom & bathroom downstairs. Not only are swimmers on display as they enjoy the pool, they can look right down onto the beds on the upper floor. 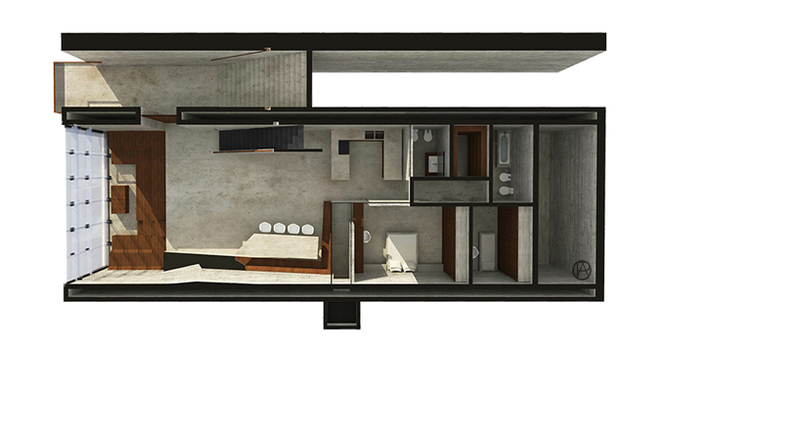 The simplicity of the cast concrete walls and floors puts the focus on the lines and form of the house as a whole. 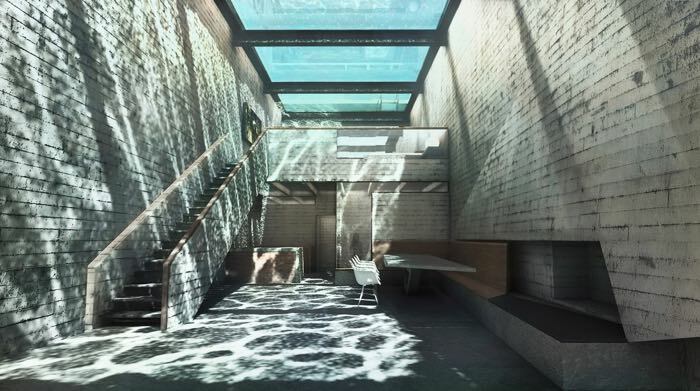 Horizontal lines on the walls, along with the support beams beneath the pool, draw the eye right out the glazed facade. The James Bond-esque home will cost an estimated $2.5 million to build, which seems like a bargain given its uniqueness.